Abundant in history, culture and Scandinavian sensibilities, Stockholm is a city that offers so much to see and do. If you’re planning a trip to the Swedish capital, be sure to check out our top 5 unforgettable things to do in Stockholm. 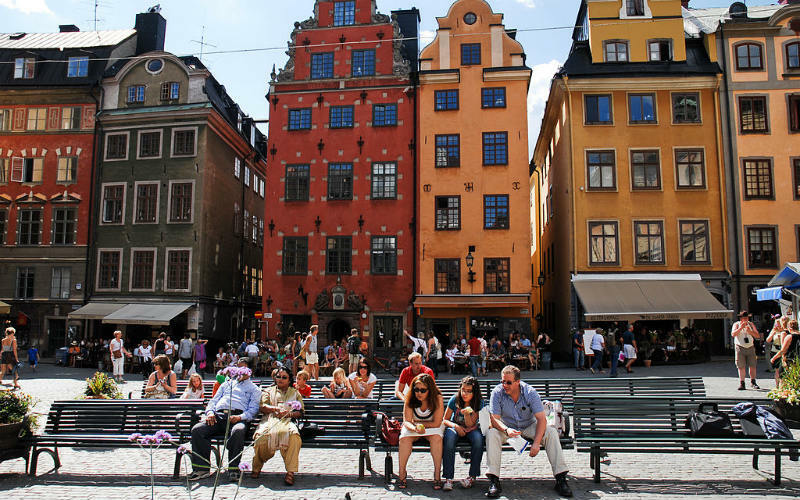 Dating to the 13th century, Gamla Stan, Stockholm’s Old Town, is an atmospheric part of the city that also happens to be one of Europe’s largest and best preserved medieval city centres. Cobblestone streets wind their way through the district and are peppered with brightly coloured buildings that help to give Gamla Stan its distinct look. Some of Gamla Stan’s most popular thoroughfares include Västerlånggatan and Österlånggatan, but it’s well worth taking the time to head beyond the main tourist areas and explore more of the historic area’s laneways, eateries and fantastic attractions. If you find yourself on the corner of Prästgatan and Kåkbrinken, be sure to take a moment to admire the ancient and mysterious Viking runestone embedded on the side of one of the intersection’s buildings. Gamla Stan, Stockholm, Sweden. Image Credit: Mstyslav Chernov / CC by SA 3.0. Officially opened in 1990, the Vasa Museum is situated on the island of Djurgården and showcases one of the best preserved ships dating to the 17th century, the Vasa. Sinking just a few hundred metres from its dock in 1628, the ship is an awe-inspiring relic of the past that stands largely intact despite its age and all it has been through. 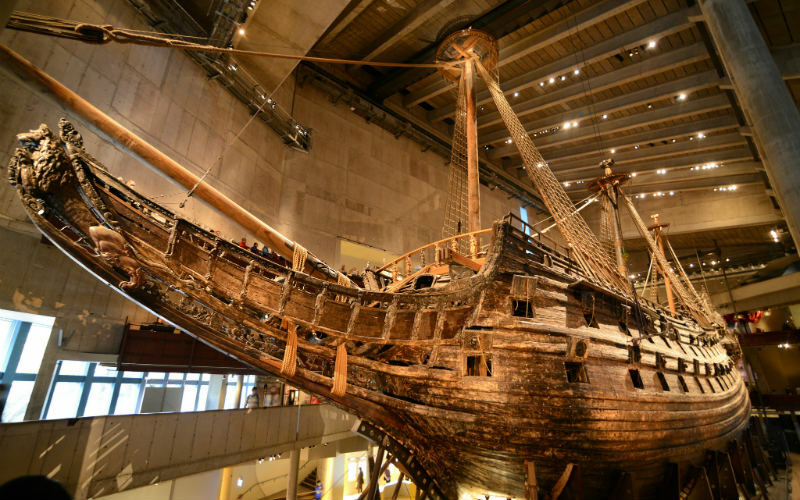 Said to be one of the most visited museums in Scandinavia, a visit to the Vasa Museum gives visitors the opportunity to learn about the ship, its history, the process undertaken to salvage it, and the work involved in its restoration and preservation. The Vasa Museum, Stockholm, Sweden. Image Credit: Jorge Láscar / CC by 2.0. Often simply referred to as ‘The Royal Palace’, Stockholm Palace is not only one of Europe’s largest palaces, but it is still in operation as the official residence of the king and queen of Sweden to this day. Completed in the mid 18th century, the Baroque style palace is open to the public and features over 600 rooms spread across seven floors. 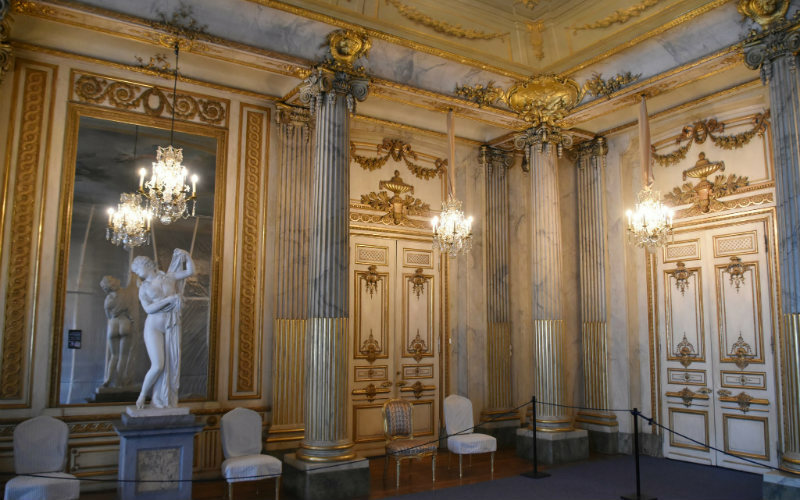 Within the palace building, several museums, including the Tre Kronor Museum (dedicated to the Tre Kronor Palace that was destroyed by fire in 1697) and Gustav III’s Museum of Antiquities (opened in 1794 and featuring more than 200 sculptures), can also be found. Stockholm Palace, Stockholm, Sweden. Image Credit: Richard Mortel / CC by 2.0. Thought of as one of Sweden’s greatest exports, ABBA, a pop group best known for their chart topping hits in the 1970s and 80s, is immortalised in the exhibitions of ABBA: The Museum. 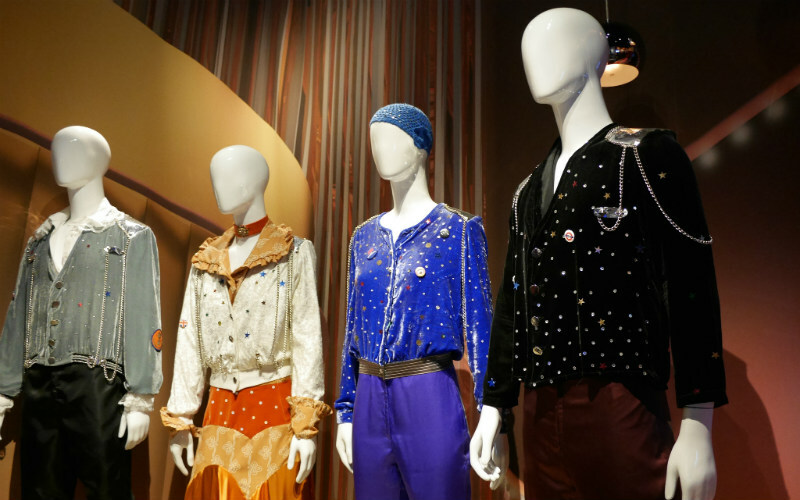 Filled with memorabilia, original stage outfits, instruments and other paraphernalia related to ABBA and their career, the permanent exhibition is the perfect place to learn more about the band and what it was that made their music such an incredible global phenomenon. Interactive activities, including trying on digital costumes and singing and dancing with holograms of the band, help to make this an exhibition that is certainly well worth exploring. ABBA: The Museum, Stockholm, Sweden. Image Credit: Franklin Heijnen / CC by SA 2.0. Set on the northern shore of Södermalm Island, Monteliusvägen is a narrow walking path that offers some of the best views of Stockholm. Often considered to be one of the city’s best vantage points and among its most romantic spots, the pathway stretches for just under 500 metres and provides great views of Lake Mälaren, Stockholm City Hall, the city’s Old Town and beyond. Being a narrow walkway, Monteliusvägen may not always be shown on every map, but can be found running alongside Bastugatan. The view is great at any time of day, but the city looks just that little more special at sunrise and sunset. Monteliusvägen, Stockholm, Sweden. Image Credit: Magnus Johansson / CC by SA 2.0. 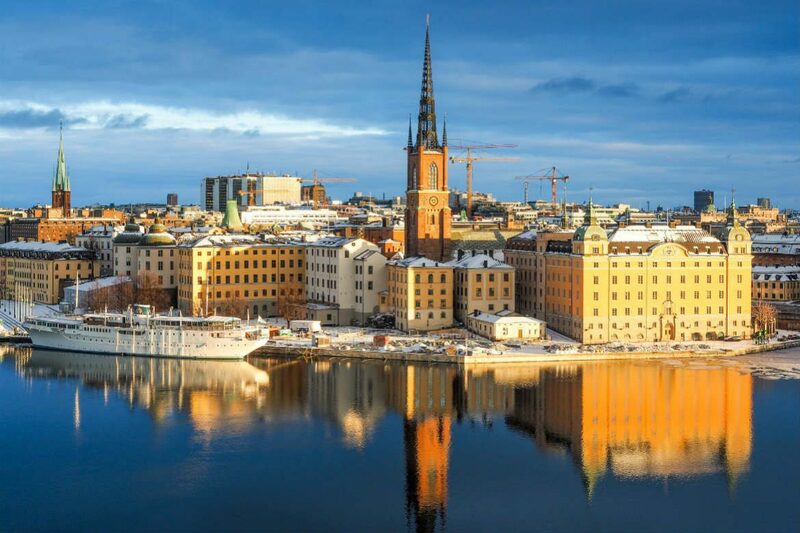 Ready to discover the beauty and culture of Stockholm? Take a look at some of the incredible Scandinavia tours available from Webjet Exclusives today! Feature Image Credit: Chas B / CC by 2.0.